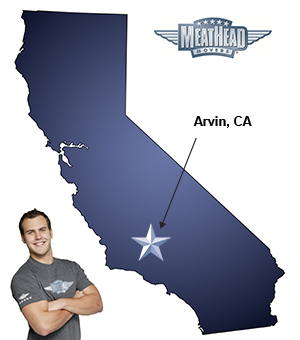 Whatever your moving needs may be, Meathead Movers will help you feel at home in Arvin. Our professionally trained student-athlete movers and our moving concierge will be with you for the entirety of your move. If you are moving to or from anywhere in Arvin, we are the moving company for you! Our professionally trained student-athlete movers and our moving concierge service are here to help you with every stage of your move. Known as the garden in the sun, there are plenty of places to live, work, and play in Arvin. With quiet residential areas and low crime rates, it is a very pleasant place to live. The city also has a great agriculturally based economy and a growing manufacturing base. Nature lovers will love hiking through the Sheep Trail or taking a stroll along the San Joaquin Valley’s foothills to admire the wildflowers that bloom every spring. For those looking to move to the area, Meathead Movers is the company for you. Our moving company specializes in local, long-distance, and commercial moves. We also provide reliable packing, storage, on-site relocations, and our distinctive moving concierge service, which connects you with local service providers to make your move as seamless as possible. All of our student-athlete movers are thoroughly screened and trained before their first move. With branches all throughout the state, we are a one-stop resource for all your moving needs, no matter where your California move takes you. Moving to Arvin? Here are some helpful resources.